Peripheral artery disease (PAD) and heart disease share the same risk factors and often co-exist. 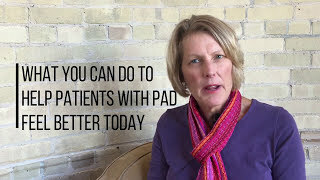 PAD may be the first sign of atherosclerosis impacting the heart and brain. This life-threatening condition can be managed with proper care. 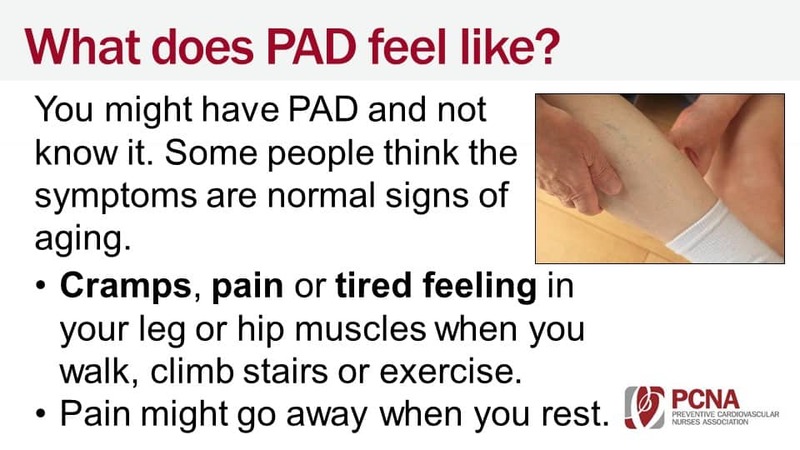 PCNA has put together these helpful tools for clinicians who see patients with PAD. Designed to screen for peripheral arterial disease (PAD) in community settings such as senior centers. This digital toolkit includes checklists for planning a screening, sample waivers, data recording forms and educational fact sheets and power point presentations. The components may be personalized by a healthcare system, as desired. The screening tools may be utilized by regional PCNA chapters in their local communities, whether as a stand-alone screening or in tandem with other activities such as community health fairs. PCNA members may ‘check-out’ blood pressure cuffs and hand-held vascular dopplers to support their screening events. This 18-slide presentation covers the basics of peripheral artery disease (PAD), including risk factors, tests, and treatments. The tool can be utilized in outreach to your communities, either as a stand-alone screening or in tandem with other activities such as at community health fairs. 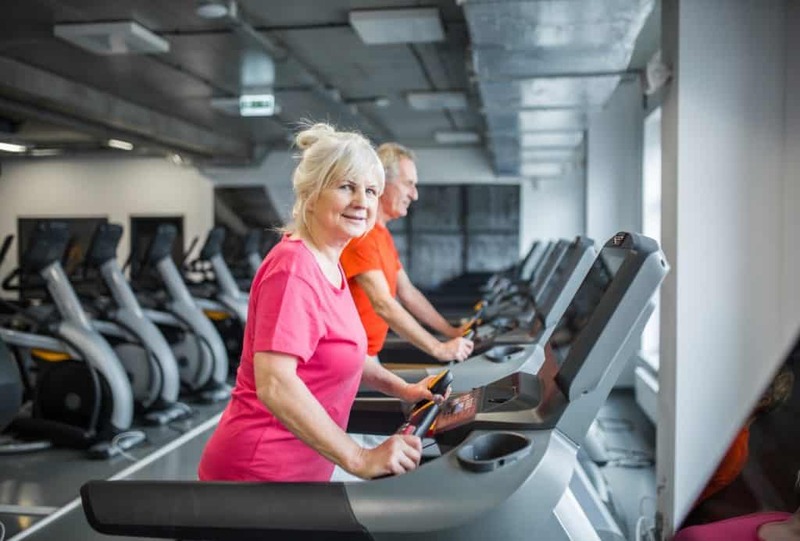 Research in vascular exercise has demonstrated remarkable improvement in symptoms of leg pain (claudication) without expensive or invasive interventions. Regular walking programs are extremely helpful for patients with PAD and intermittent claudication. This instruction sheet is designed to help get patients started with an exercise program.